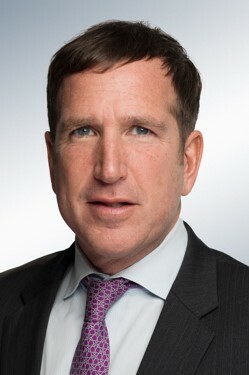 Jeff Cohn serves as managing partner of Elevate Partners, a company of DHR International. Elevate Partners’ mission is to help businesses succeed through leadership — with a focus on leadership assessment and succession planning. With more than 20 years experience in succession planning, executive assessment and leadership development, Jeff helps corporate boards select, develop and on-board future leaders. Jeff takes particular pride helping companies create high performance teams that are closely aligned to their strategic objectives and culture. Prior to DHR, Jeff was a partner and a CEO succession advisor at Heidrick & Struggles and Spencer Stuart. Jeff has spoken, lectured and participated in CEO panels at the World Economic Forum, the CEO Leadership Institute, Oxford University, Stanford and Columbia. Jeff has written numerous Harvard Business Review features on leadership and co-authored an award-winning book on leadership “Why are We Bad at Picking Good Leaders: A Better Way to Evaluate Leadership Potential.” The Wall Street Journal frequently interviews and quotes Jeff as a world-leading expert in the field of leadership, governance and board dynamics. Jeff has worked with and advised CEOs of some of the most creative and successful organizations in the world, including numerous Fortune 500 and Global 1000 companies, Cirque du Soleil, Cleveland Clinic, the gold medal Olympic basketball team, Blackstone Group, Silverlake Partners, Bain Capital, and high-technology start-ups. He has a particular passion for helping and coaching “rising stars” emerge into future leaders. Earlier in Jeff’s career he was a principal at a leading economics consulting firm (LECG), a research associate at Harvard Business School and a consultant at Andersen in Paris. He graduated with a degree in Economics from Vanderbilt University and an MBA from Tulane University.